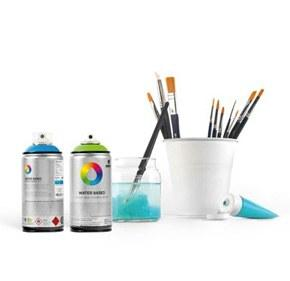 MTN Water Based Paint Refill - 200ml - RV135 Naples Yellow is a refill for our water based 3m and 5m markers and can be used with brushes similar to traditional art acrylic paints. The unique properties of Montana Colors Water Based Paint allows the low odor refills to be used both in-doors and outdoors with other art supply mediums and end up drying permanent. Montana Colors Water Based 200ml Refill RV135 Naples Yellow is a full pale yellow hue paint refill.